So, you are now wondering if you should go with Cooper Zeon LTZ or Cooper Discoverer ATP. 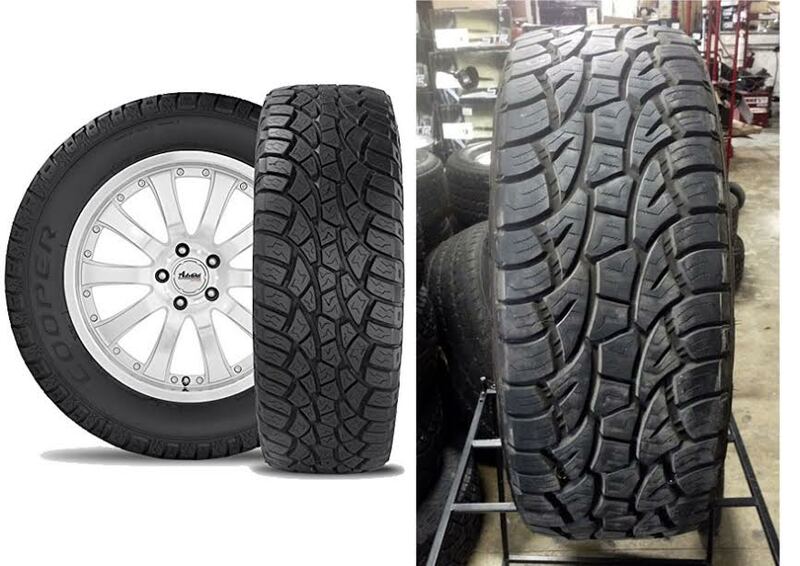 Both are tire models made by Cooper, one of the most well-known and trusted brands of car tires in the market. Both tires are classified as all-terrain tires, in other words, the two have been designed to face the challenges of any terrain, on-road or off-road. So, what’s the difference between them? How does Zeon LTZ compare to Discoverer ATP? Below, we will see in what ways that you should choose Zeon LTZ or Discoverer ATP. Continue reading. Cooper Zeon LTZ has been developed as a hybrid between a sports truck tire and an all-terrain tire. The result is an aggressiveness that can tame any kind of road surface while providing exceptional ride performance and handling capabilities. Cooper Zeon LTZ features alternately scalloped shoulder lugs for enhanced traction when driving on soft and slippy surfaces, like on mud or sand, and long “Two Z” element siping that provides long, dependable traction in all weather conditions, at the same time balancing the stiffness of the tread elements for improved tread wear and handling. The lug tie-in zones incorporate raised and serrated lug locks in-between the tread block elements, functioning to enhance the steering and traction capabilities as well as reinforce the tread pattern for better durability. On the other hand, Cooper Discoverer ATP is also a hybrid tire. It combines the designs of today’s sport utility vehicles and light trucks with the all-terrain performance tires. Cooper Discoverer ATP is ideally suited for enthusiasts and proud truck owners who demand a great-looking tire with real performance to match. It features an aggressive design engineered for outstanding performance in both on-road and off-road driving applications, smaller gauge sipes for increased stability and control, center and intermediate pairing tread elements, and also a combination between the tread pattern and computer-optimized pitch sequence that minimizes vibration for a quiet ride. Even though Cooper Zeon LTZ is rated as an all-terrain tire, it shines the brightest when driving on-road. It delivers truly smooth and precise handling on the road, regardless of the weather condition. Even when the day is raining, Cooper Zeon LTZ still gives exceptional traction. It also performs very well when going through some not-very-thick snow. However, it can only perform in mild off-road environments, not the heavier ones. You will push it to the limits if you take it to a heavy, demanding off-road terrain. On the other hand, Cooper Discoverer ATP is your better bet for regular off-road driving. While extreme terrains will of course take some tolls, Cooper Discoverer ATP promotes better traction and reliability in off-road applications. Another nice thing about Cooper Discoverer ATP is that the tire is quiet when driving on the road. - Manufacturer/model Cooper Discoverer ATP Performance category Truck / SUV / All Terrain Size 27555R20 Load index 117 Speed rating T.
- The date of manufacture is 2015. If the date of manufacture concerns or bothers you then please do not purchase this tire. - THE PRICE LISTED IS FOR ONE TIRE Free shipping to anyone in the continental U.S. We do not ship tires internationally We use FedEx Ground. Both tires are great. However, if you regularly drive off-road, Cooper Discoverer ATP is your best bet. On the other hand, if you only drive on the road but you need a tire that can perform exceptionally in all weather conditions, then Cooper Zeon LTZ is the sure fire!